How does TEMASOFT Ranstop work? 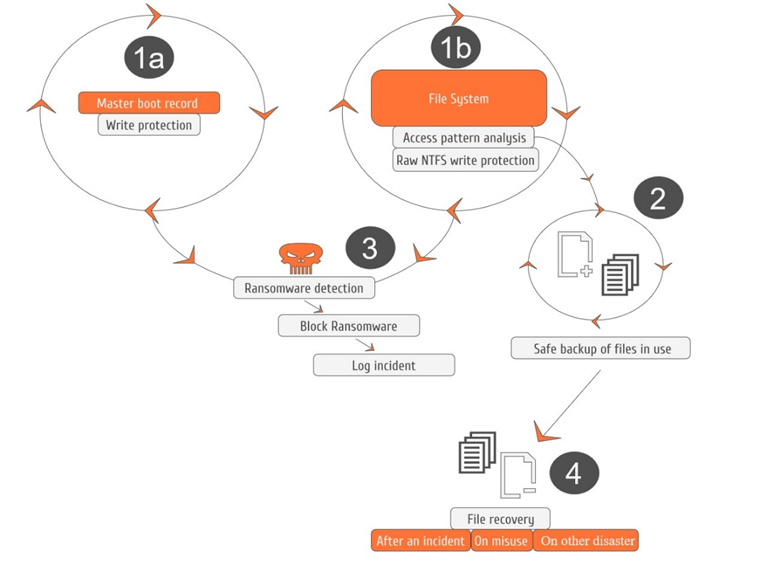 TEMASOFT Ranstop uses the analysis of file access patterns to identify ransomware including zero day and custom variants. It is able to detect and block both ransomware and screen locking malware, and offers MBR protection to guard against ransomware attacking the operating system (like Petya). Once ransomware is detected, it is blocked, notifications are sent and the damage files are automatically restored (if any). The safe backup functionality can also be used to restore files damaged by successful ransomware attacks, or accidentally lost.